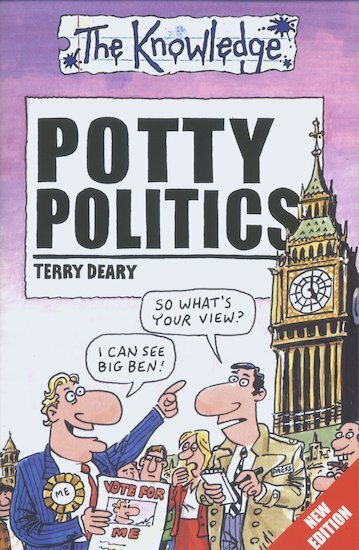 Uncover the terrible truth about potty Prime Ministers, loony lords, vile voters and mad manifestos! Try your hand at crazy canvassing and discover the sorry story of sleaze. Track a potential party candidate – and see if you’ve got what it takes to become an MP! 910L Lexiles are the global standard in reading assessment. They are unique as they are able to measure a child and a book on the same scale – ensuring the right book gets to the right child at the right time. Terry Deary was born in Sunderland in 1946 and currently lives in County Durham. Terry is a former actor, theatre-director and Drama teacher. He spends his time writing and directing for his television production company, managing his website, terry-deary.com, and touring his Horrible Histories exhibition. Terry is the author of 116 books in the UK and over 250 more worldwide, mainly for children and teenagers, including the popular non-fiction series Horrible Histories. Horrible Histories were launched in 1993 and are now sold in 28 languages from Russia to Brazil, Scandinavia to China. In 2003, Horrible Histories celebrates its 10th Anniversary! 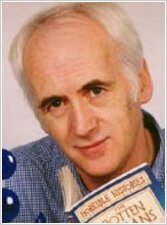 In 1996 Terry was the best selling British children’s author with 5 of his books in the top ten best-sellers of the year (Waterstones Book Shop tables). In August 1997 he was still leading the way with thirteen titles in the top forty. (Bookseller listings). In 1999, The Daily Telegraph recorded that he outsold Enid Blyton by four to one and a Libraries survey made him the most-borrowed author of non-fiction in Britain – adult and children’s books. Terry currently holds 8 out of the 10 slots for ‘Most Borrowed Children’s Non-Fiction’ authors in the Public Lending Rights annual survey covering July 1998-June 1999. In November 1999 Books for Keeps magazine readers voted him “The outstanding children’s non-fiction author of the 20th Century”. Terry’s district council have awarded Terry an “oscar” as one of their top citizens and Sunderland University have awarded Terry an Honorary Doctorate in Education (HonDEd) which was awarded in July 2000. In early 1998, the Top Ten series was launched with two titles written by Terry, Top Ten Shakespeare Stories and Top Ten Greek Legends. Terry’s latest additions to the Horrible Histories series are the Horrible Histories Special: France and Cruel Crimes and Painful Punishment. And if Horrible Histories wasn’t keeping him busy enough Terry has also contributed a range of titles to the True Stories series including True Mystery Stories and True Horror Stories. The Horrible Histories exhibition is up and running in museums around Britain until 2003. He has also just set up a television production company and is negotiating to make a series of audio tapes and writing radio scripts for BBC World Service. For more information why not visit www.terry-deary.com or join his fan club?